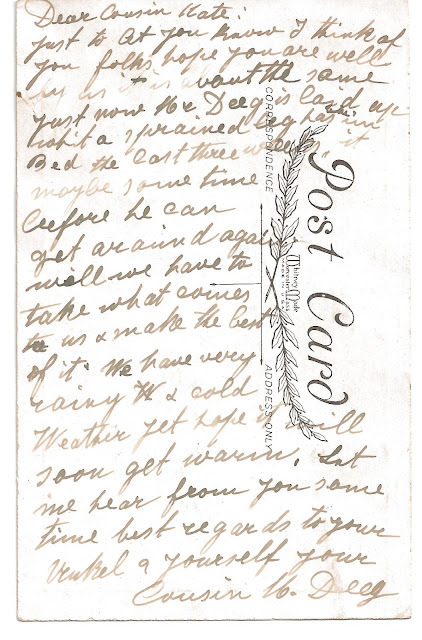 A postcard written to "Cousin Kate." It has no date on it, but is with others from the 1920s. It looks as though it was written with a pen dipped in ink because you can see the wavering amounts of ink used.